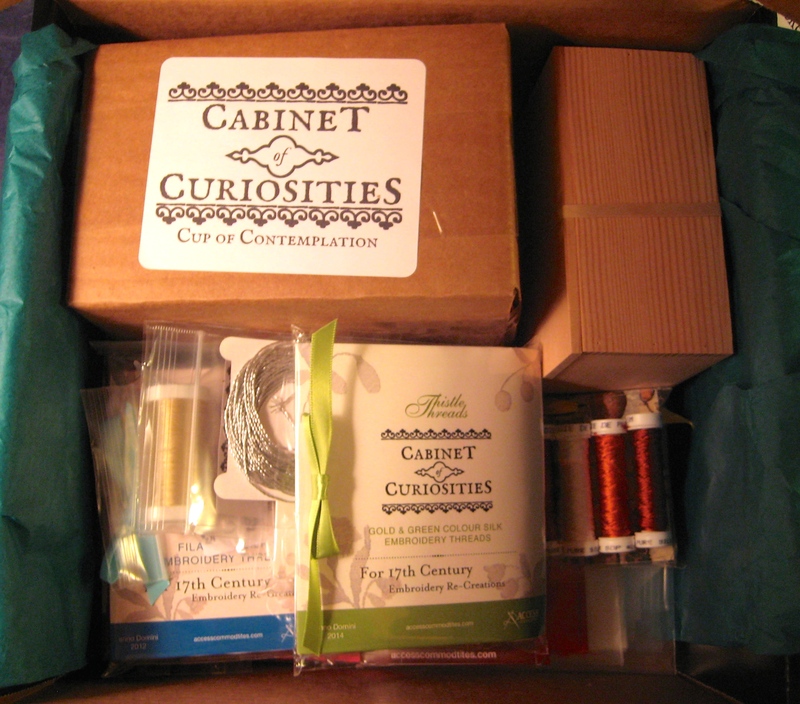 Last week, just before we went out of town, I got the first kit for my Cabinet of Curiosities class. Opening the box got my heart racing. New tools, really good tools, have always inspired me. 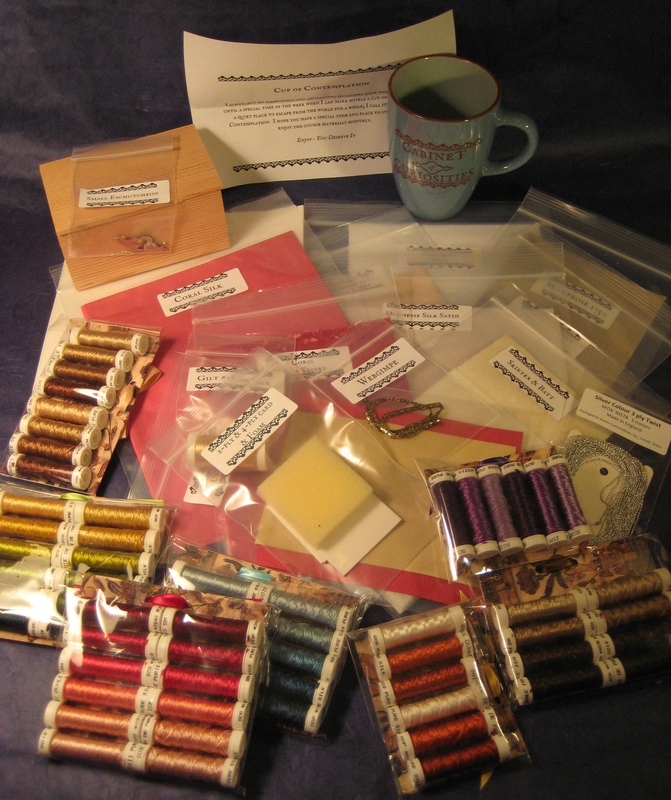 Just like new pencils, paper and notebooks did for me at the beginning of each school year, my new embroidery supplies, especially the beautiful palette of threads, speak to me of possibilities. For her 8th birthday in July, SG got a huge set of crayons, markers and paints. These are my new crayons. 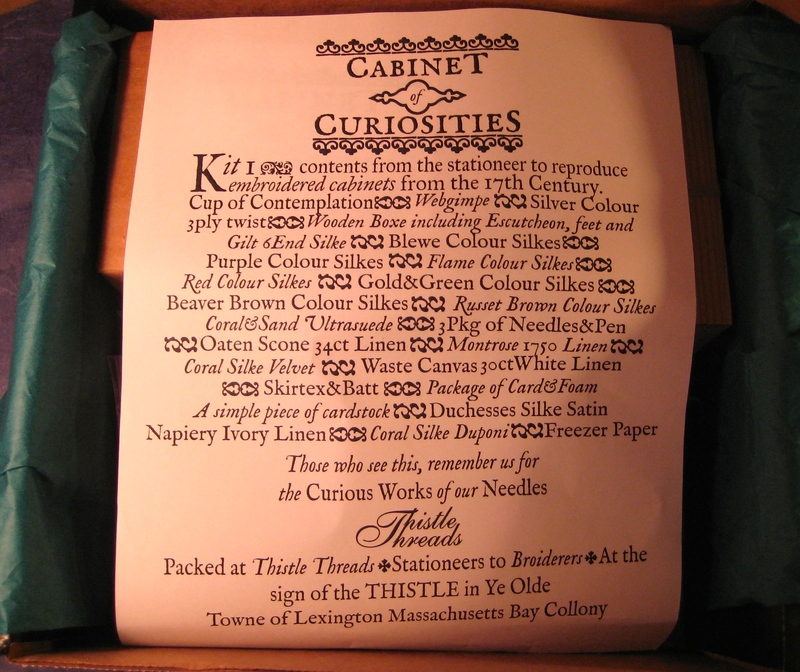 There are 31 historic colors in 2 different types of silk thread. 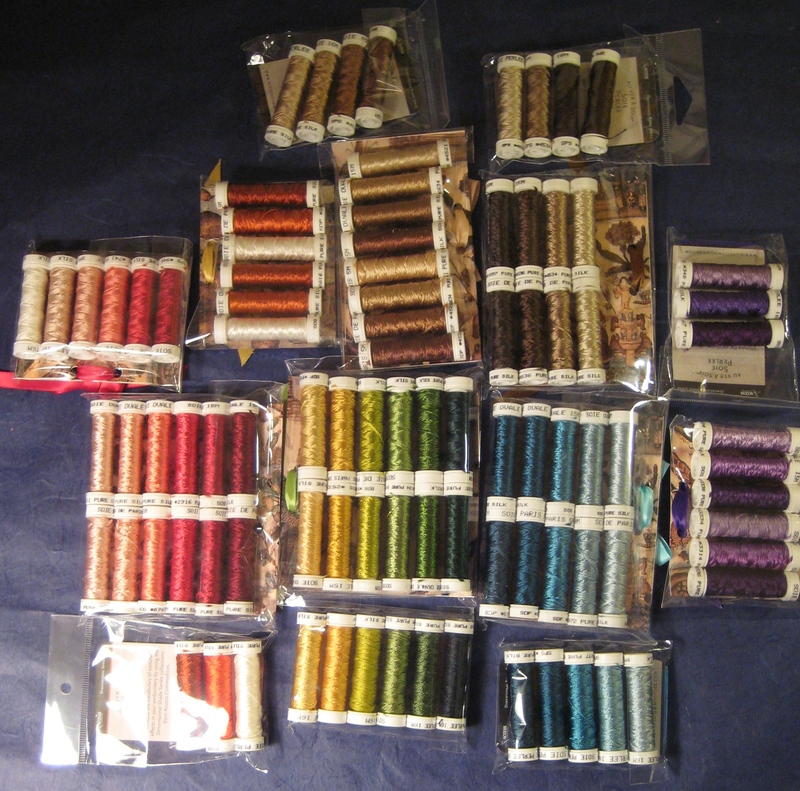 I added a third type of silk thread in all the colors. 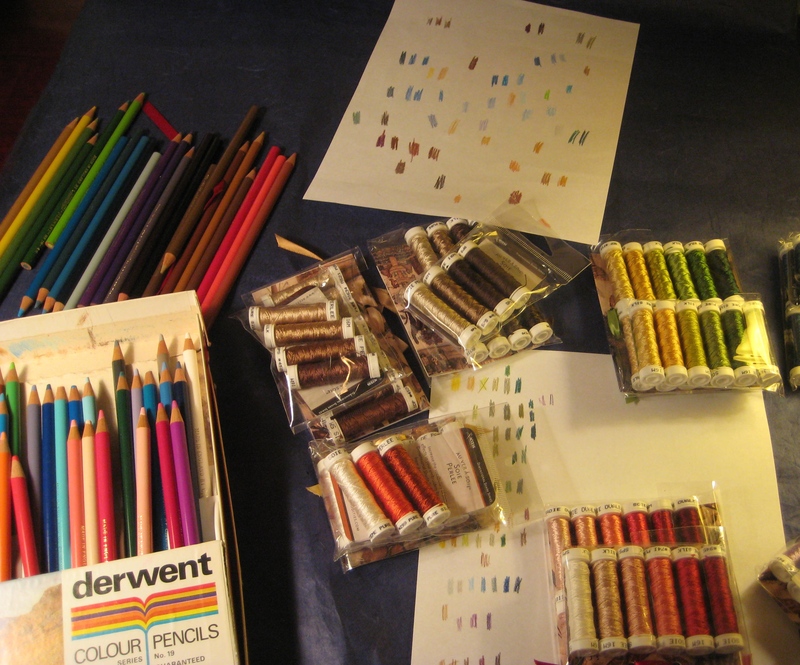 Yesterday afternoon was spent trying to match the colors to my old set of colored pencils (purchased in the early 1970’s for 20% of what they would cost today). 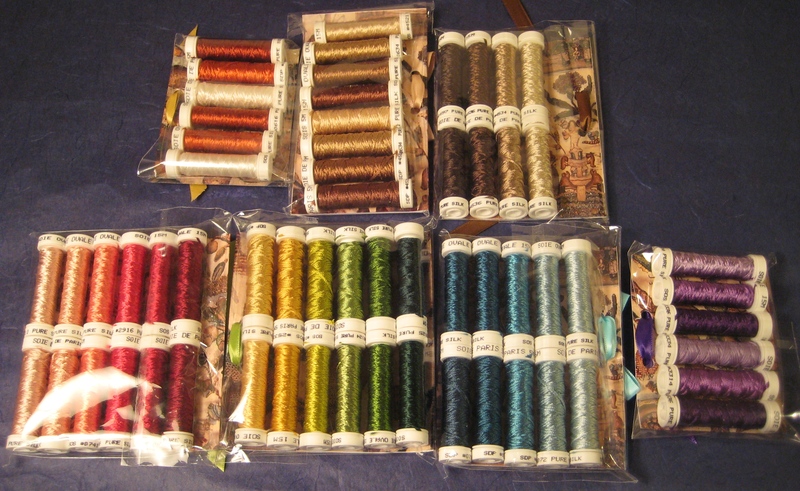 I want to plan my designs and colors before I start stitching with these precious threads. 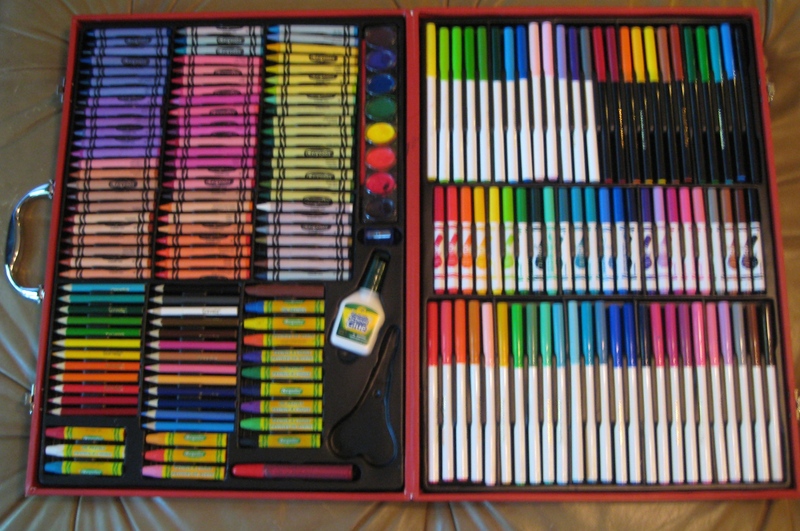 This afternoon, I’m going to my local art supply store to see if I can get colored pencils to match the colors that are missing from my set. I also got idraw for my iPad and started learning how to use the matching HexCodes to color the designs. I’m not sure whether the pencils or computer will work best. As I get older, I find I am less interested in acquiring more stuff. But, a big exception is stuff to create with and tools to make it happen. That’s the same philosophy I’ve taken with my doll collection. I sell or trade the dolls I don’t want to sew for and only keep the ones that inspire me to create. Here’s another great tool set I got recently. They were handmade in England from cherry wood. Any ideas as to what they are for??? 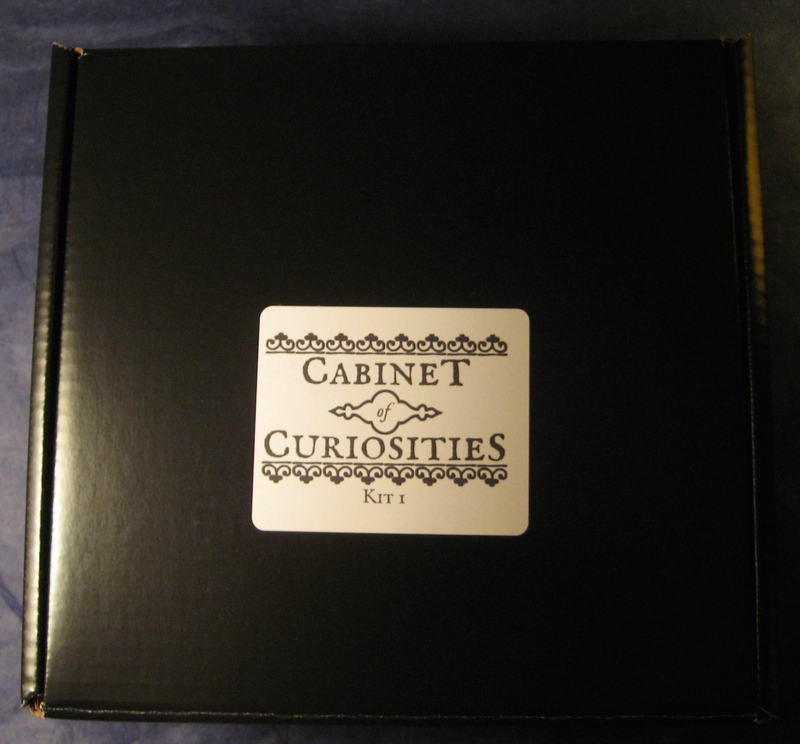 Could these be for pressing doll garments under construction? How about shaping ribbons for garment decoration? Could these tools be for lacemaking? They sort of look like bobbins. By the way, I am just today seeing your site for the first time and enjoying it so much. I agree it’s a shame what is happening at Gaithersburg. Hopefully they will be there in December. 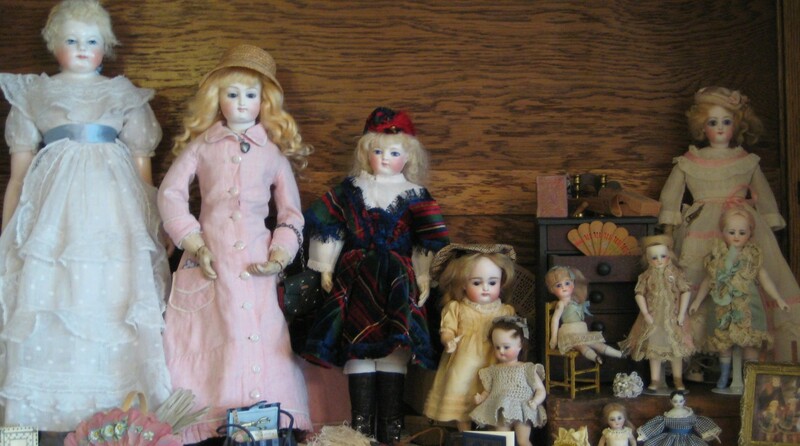 It’s always so nice to talk to doll collectors as we are a rare breed nowadays.